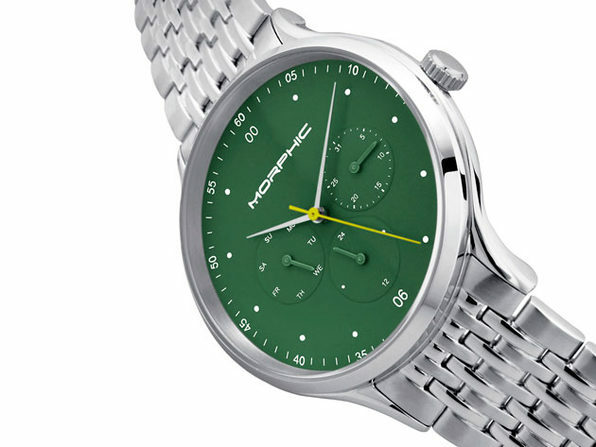 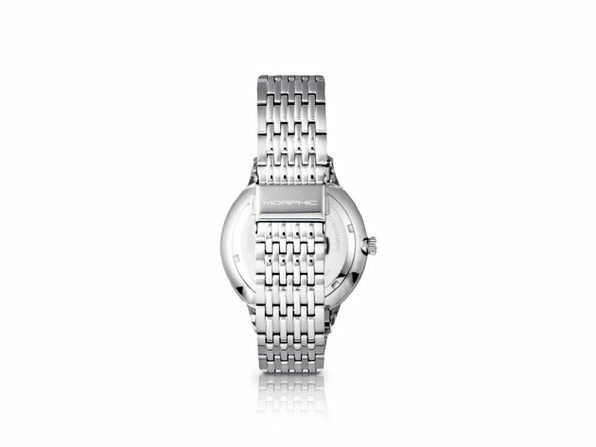 The Morphic M65 series features a tough but classy stainless steel band. 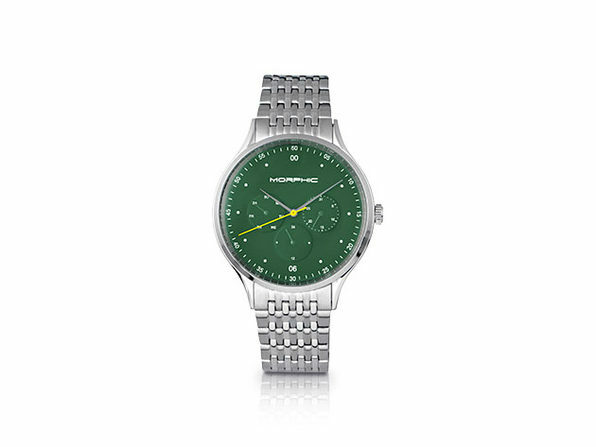 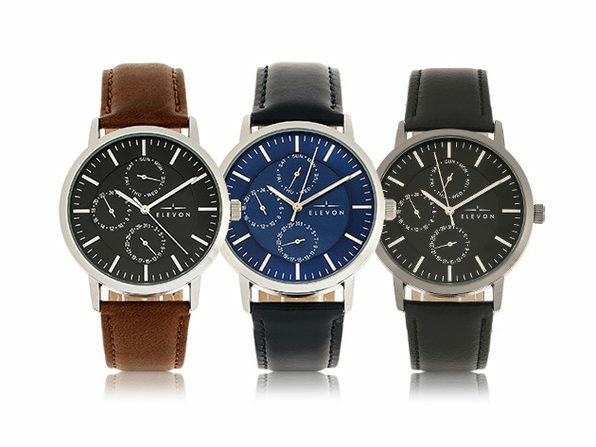 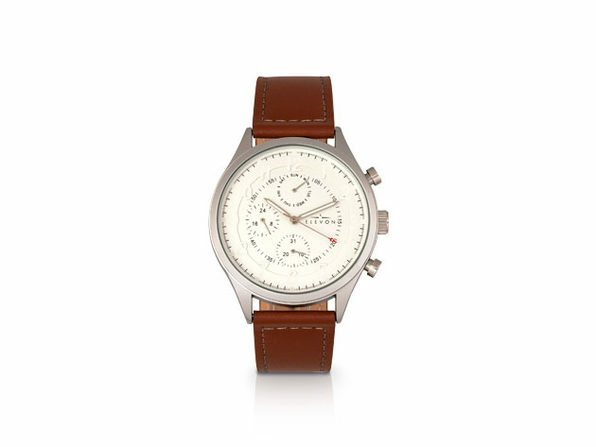 This durable, stylish watch is the mark of the weekend warrior, perfect for the office or the bar. 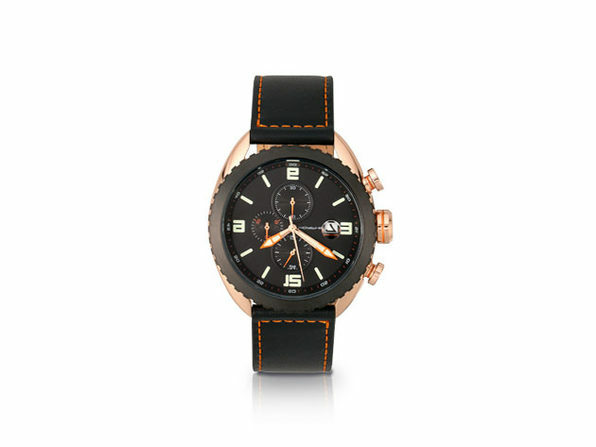 Plus, with a 5ATM water resistance rating, it's built for all weather and adventure.